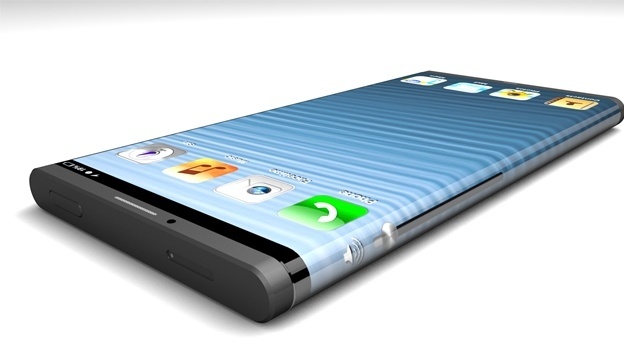 The New iPhone 6 Rumor Roundup - Images, Specs & More! Apple is working on new the iPhone prototypes of iPhone 5S and the iPhone 6. Even though we aren’t seeing Apple iPhone 6 until year 2014, it is getting popular with each passing day in the world of rumors. Since the Apple’s release cycle gives buyers a good time to have their contracts over, those who aren’t looking forward to iPhone 5S can start to looking towards the new iPhone 6 releasing next year. Remember, there hasn’t been any official trailers, images, photos or any announcements. So those who are claiming of breaking the news of official reports of iPhone 6 are just messing around the Apple iPhone 6 concept phone. Like in the past, Apple is not discussing any rumored products, hence the speculations are on the peak; whether iPhone 5S would be the next Apple smart phone or the iPhone 6. However, considering the Apple release cycle it is unlikely to expect Apple skip the iPhone 5S and jumping right to the iPhone 6. 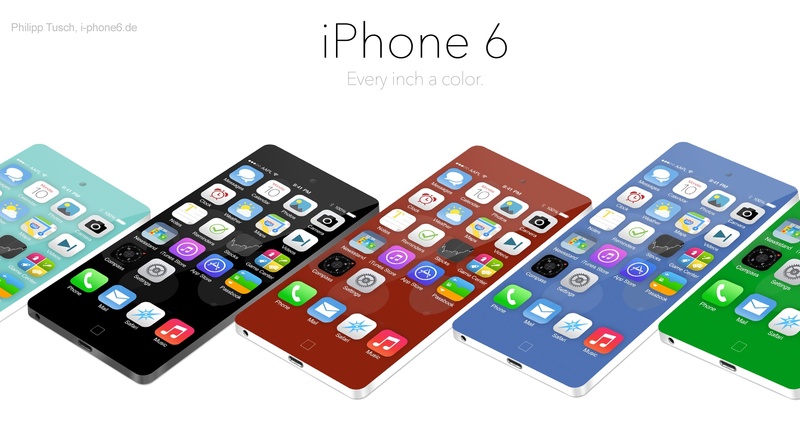 Here is the new iPhone 6 rumor roundup with some specs, features and other details. A plethora of reports from analysts and industry resources are pointing to an iPhone with bigger and better display – one that hasn’t yet been seen on the iPhone. Rumors also suggest that a new Retina display for the iPhone 6 might deliver even a higher resolution on the smart phone. Earlier, a report in December 2012 talked about iPhone 6 prototype with larger display and higher resolution Retina+ display. Recently too, there has been rumors circulating about Retina+ display. We might be looking at the better display being sported by iPhone 5S. Even if iPhone 5S does not deliver a better pixel count, it is almost certain to expect that in iPhone 6. Tim Cook has been seen talking about the trade-offs that are being faced with larger display. 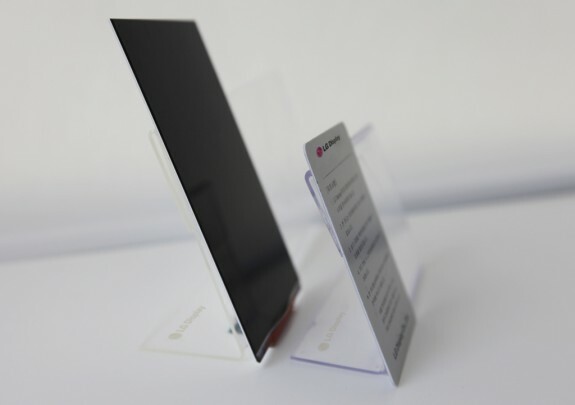 LG on the other hand has been working to deliver a new display technology: a very bright 5.2 inches HD display measuring just about 2.2mm thickness, hence requiring very small bezel. This could actually address the issues faced with larger high-res displays. Apple has traditionally been very slow to adopt major changes to the iPhone. However, 2014 is actually looking at Apple ushering into a better era for larger displays for the iPhone. For the design, rumors of Apple releasing the iPhone 6 without the home button are quite aplenty. Larger screen, thinner design, and size in check are a few very prominent speculations being made for the iPhone 6. Some sources are also suggesting that Apple might go for a waterproof iPhone 6, which looks quite unrealistic considering Apple’s philosophies of saying no to major design changes – but who knows. Some are hinting that iPhone 5S is getting fingerprint reader for added security but there has been no confirmed news about that yet. But even if iPhone 5S does not bring the fingerprint reader in, many are expecting this feature debuting in iPhone 6. Among the top features, Apple is highly expected to go for even faster WiFi. Many are looking at 802.11ac WiFi becoming an standard from Apple iPhone lineup this year. There is a continuous argument of NFC support being back. But with iOS 7 coming with AirDrop and payment system that might be using barcodes, Apple could be sidestepping this technology feature. Since Apple iPad has been offered with 128GB of storage, it is quite reasonable to speculate that iPhone 5S or iPhone 6 might be offered with storage more than 64 GB. Many analysts are hinting at 2014 as the year for the iPhone 6 release, but there is not much agreement on when it will actually reach the markets. It is certain that Apple will release an iPhone this year, and though many are looking forward to iPhone 6, it is unlikely for Apple to go straight towards iPhone 6. iPhone 5S would keep many buyers happy and will also keep the iPhone 5 in market. Some analysts are suggesting that Apple would be releasing iPhone 6 as early as first quarter of the 2014. The noted Apple analyst Ming-Chi Kuo has yet to comment on an iPhone 6 release. His focus on iPhone 5S makes many speculate that iPhone 6 wouldn’t be released that early. It should be noted that Apple typically releases the iPhone in annual cycles. The response was quite negative when Apple released iPad 4 in October 2012, seven months after the third gen iPad. If Apple decides to launch Apple 5S this year and then go forward to iPhone 6 during first quarter of 2014, it would make consumers very angry and would also change the dynamics of Apple release cycles. iPhone 6 Rumor Roundup in a 60-Seconds Video!